Following the death of Jose Fernandez, the baseball world was in a state of shock. We saw his teammate Dee Gordon hit the longest home run of his career and then break into tears while rounding the bases. We saw all of the Miami Marlins wearing Fernandez jerseys with his name and number, and we saw opposing teams hold tributes as well. Just to briefly recap the tragic events that lead to the ace pitcher’s death, rescue workers found his boat upside down after it had crashed into a jetty off the coast of Miami. When rescue workers approached the boat, they found that nobody was still on board and sent rescue divers into the water to look for any survivors. They found Fernandez and two of his associates, but they were already deceased. After the boat was towed back to shore, and the bodies of the three men were taken to the country medical examiner’s office, full autopsies were performed. According to a recent news report from CNN, the investigation has revealed some new details. First, it was reported that the divers immediately smelled a strong odor of alcohol coming from the three men’s bodies. They also found that Fernandez had a blood alcohol concentration (BAC) of .147. This is nearly two times the legal limit of 0.08 grams of ethanol per hundred milliliters of blood. 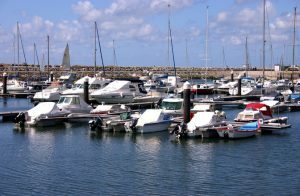 However, it should be noted that while the BAC legal limit for driving a boat is the same as driving a car, it is not known who was piloting the craft at the time of the crash. They do suspect it was Fernandez, though, because he normally drove the boat, as it was his and one of the men had only met him that same night of the accident. In addition to the high level of alcohol, toxicology allegedly found traces of cocaine in Fernandez’s system at the time of this death. At this time, police are considering this a homicide investigation, but that is not because they necessarily think that any of the men were murdered, but that when the cause of death is not completely known, it is sometimes treated as a homicide. As for the medical cause of death, they found he suffered blunt-force trauma to his skull and chest, as well as a broken jaw. If you are the victim of an accident that results in personal injury while in someone else’s vehicle, including a boat, you may have a valid claim for damages. While it is likely that the person who was operating the vehicle was a friend, and you are not over enthusiastic about the notion of having to sue a friend, it may be the only way you can receive full and appropriate financial compensation for your injuries. As you can discuss with an experienced Boston personal injury lawyer , you may never have to file a case against your friend. Often, your attorney will make a personal injury claim with the insurance company, and the claim will be settled at this level.